Before that though, how fast are the weeks rolling into months into our own memories. Life is flying by, there is not enough time in the day but there is always tomorrow. Any way back to it. Today I’m sharing with you a flash back from many moons ago, when life was simple but just didn’t seem that way then. If the hands of time could tick backwards I would love to do it all again but how different I would be. My head would be down and I would want to listen, I would want to learn. I would want to give myself the best chance at life I could but I wouldn’t change the fun, the laughter, the mischief. Thought I would share a few parts with you. Got to say I wasn’t the brightest, or driven pupil. I hated school. Although at times a little disorganized Roseanne is a very enthusiastic and cheerful pupil who is always willing to help. After a somewhat shakey term I am pleased to report that Roseanne has settled down and now seems far happier. Roseanne is a very caring and considerate pupil and an asset to the group. Roseanne has made steady progress. Her ability to write and enjoy poetry is evident, and her use of language is increasingly more confident. Roseanne must try to be more organised in her approach to lessons and homework. I’m sure that a little more concentration would result in a more overall standard. Roseanne has had an unsettled term. Her work has been very untidy and she has been forgetting about handing in her book for marking. Overall test result is 49%. Test result 24%, this is very disappointing. Handwriting and presentation requires special care. Continues to mature in ideas and presentation. Unfortunately Roseanne has yet to reveal her full potential, as all too often she appears content to take a back seat, despite the fact that she is an extremely talented pupil capable of achieving high levels of success. Roseanne has produced a particularly high standard of work this term. Despite struggling with her tennis she is always willing to accept advice in an attempt to improve. However her commitment to Athletics has been over whelming and worthy of great praise. Roseanne is a regular attender of after school clubs and has represented the u13 athletics team. 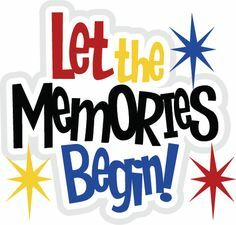 This entry was posted in Flash back Friday, Memories and tagged Flash back Friday, Flashback Friday, life, Life is a continuous school, Life's lessons, memories, remembering, school. Bookmark the permalink.